Crop Acreage and Production Estimation (CAPE) Project was sponsored by Space Applications Centre, ISRO, Ahmedabad and was executed by Chhattisgarh Council of Science & Technology. The project has now culminated into FASAL, a operational unit Mahnalobis National Crop Forecast Centre (MNCFC) under Ministry of Agriculture & Farmers welfare, Government of India. Crop Acreage and Production Estimation for Major Crops Kharif Rice (paddy) was completed using RADARSAT-SCANNAR data to generate the crop census in advance for estimation of production and acreage before the harvest of crop from 2002 to 2008. This data is helpful for farmers, planners and decision makers. Wasteland updating Mission, National Remote Sensing Centre, Department of Space, Govt. of India, Hyderabad has approved wasteland Atlas updation project for Durg, Dhamtari, Raipur and Mahasamund District of Chhattisgarh State and was executed by the council. The objective of this project was to prepare the updated wasteland maps of these districts using Indian Remote Sensing Satellite (IRS) LISS-III precision corrected data of year 2003 and also detect changes using earlier database. The project was a part of National Natural Resource Census under NNRMS, NRSC, ISRO, Hyderabad. 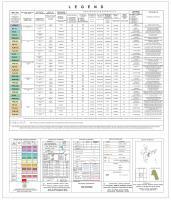 Under the Rajiv Gandhi National Drinking Water Mission (RGNDWM) Project, state wise ground ater prospects maps (seam less mosaics) were prepared for entire State (covering 202 effective maps) on 1:50,000 scale using Indian Remote Sensing (IRS) series of satellite data (1C, 1D & Resourcesat). 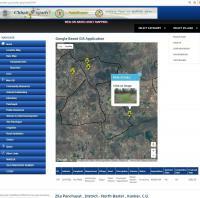 All the maps available in Bhuvan portal as bhuvan-bhujal in application sector. The possible ground water sources were delineated for drinking within the radius of 1.5 km covering for all habitations. These maps show the way for narrowing down the areas for selection of suitable sites for bore well/tube well and Identification of recharge structures. So far 80-85% success rate was received from state line departments who involved ground water resource development. The project was sponsored by NESAC, ISRO Government of India and being executed with collaboration of Central Silk Board. The project included identification and mapping of potential areas for mulberry and non-mulberry sericulture development on1:50000 scale, to develop Sericulture Information Linkage & Knowledge System (SILK) for the selected two districts of Chhattisgarh i.e. Raigarh and Bastar. The beneficiaries include sericulture extension officials, farmers/ sericulturists at the grass-root level, Self-Help Groups, financial institutions like bank and Co-operative Societies, State Sericulture Directorates, Regional Development Offices and Central Research Laboratories/ Institutes of Central Silk Board(CSB). Important deliverables of the project was district-wise maps and estimates of area suitable for developing silkworm food plants; report summarizing the area estimates and names of Villages/ Panchayats/ Blocks suitable for sericulture in each district. The project on "Geomorphological and Lineament Mapping of Chhattisgarh on 1:50000 scale" has been completed. Geomorphological & Lineament maps both were prepared on 1:50000 scale for entire Chhattisgarh state using Satellite data along with Ground truth data collection. The digital database of maps in GIS environment has been submitted to National Remote Sensing Centre, Dept. of space, Govt. of India, Hyderabad (The sponsoring organization), subsequently the digital database of maps has been uploaded in Bhuvan Geoportal of NRSC, ISRO. The project has been completed by CGSAC. The database is now available on Bhuvan Portal for use by various users departments/ organizations of central government and state government for mineral exploration, geo engineering, ground water exploration and hydrology, environmental studies, integrated land & water resources development, seismotectonics studies etc. Land use land cover mapping has been carried out by CGSAC for all 27 districts on 1: 50, 000 scales. This project was sponsored by National Remote Sensing Centre, Dept. of space, Govt. of India, Hyderabad.The database is now available on Bhuvan Portal for use by various users departments/ organizations of central government and state govt. in Urban Development Plans, environmental studies, Irrigation, Forest, Industry etc. The project was initiated in Nov 2010 and completed on March 2017. Chhattisgarh has been the 1st State in Central India and 5th in the entire country to complete the processing (Dec 2013) and upload the entire state orthorectified merged satellite data product on Bhuvan portal. The concept of decentralized planning at gross root level is enabled by 73rd Constitutional Amendment under Eleventh Schedule (Article-23G). Up-to-date and reliable spatial information on various resources themes, along with the field level attributes and the participation of local people are the fundamental components for planning and implementation of various developmental programmes. For this endeavor, resource data on 1:10,000 scale is essential for scientifically depicting village level spatial information. High resolution satellite imagery from Cartosat-1/2 (PAN) and Resourcesat-1 LISS-IV has become proven source for generating resources themes on 1:10,000 scale for the entire country in a virtual seamless manner. At the instance of Planning Commission, Government of India, ISRO/DOS has taken this task of supporting state centers in creating, updating, development of tools and its dissemination for planning at grassroots level. This programme on "Spatial Information System for Decentralized Planning (SIS-DP)" is being taken up in mission mode. In nutshell, it is envisaged to involve state identified departments/centers as partners in this mission. Separate modules are being made available on bhuvan portal for various development departments for geotagging and planning development activities in the state. Major Stakeholders State Departments shall be Agriculture & Fisheries, Panchayat & Rural Development, Education, Irrigation, Forest, Home, CHiPS, Health & Family Welfare, PHED, Directorate of Geology and Mining, Transport. National and State level mechanism is being involved for dissemination of the information (created under the project) to different level of hierarchy within departments and state government. Presently the data is being disseminated through BHUVAN and to IWMP for project execution. Schedule of regular updation of the RS & GIS datasets has been worked out at national level and shall have to be executed by the Chhattisgarh Council of Science and Technology. State Government Departments shall serve as partner institutions, and shall be stakeholders for providing relevant datasets as per the project mandate. Transformed Cadastral boundaries as provided by SLNA for each selected watershed. Training and technical support is being provided for the preparation of DPR’s of each of the watersheds selected under IWMP. Under IWMP technical support for Watershed selected (Block year 2012-13 [27 projects] & 2013-14 29 projects]) for treatment. (3150 Map sheets) were generated for DPR preparation and technical comments on suitability of proposed structure was provided to the SLNA, IWMP. CCOST participated in the National Mission mode programme to make available high resolution satellite data on bhuvan portal. CCOST processed nearly 700 high resolution images at RRSC, Nagpur in 3 month time. Technical team of CGSAC, CCOST completed the task and uploaded to Bhuvan.Bhuvan portal of NRSC as of today shows high resolution satellite images of entire country. At the request of Archeological Survey of India CCOST converted the descriptive location information on monuments based on the ASI notifications and broad lat/long information. All 46 Monuments were geotagged and are uploaded to Bhuvan portal. Chhattisgarh Council of Science & Technology supported Public Health Engineering Department, Government of Chhattisgarh for preparation of Rainwater Harvesting, Artificial recharge in four watersheds of Chhattisgarh. 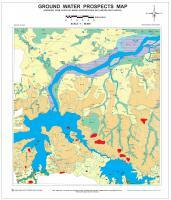 Landuse/land cover map of the coal block area was generated by visual interpretation. Road and Drainage & waterbody map generated in the phase-I of the project were updated based on the satellite data of 2012. Tree count and Tree group digitization were identified and digitized based on the CARTOSAT-1 PAN & TCC geometrically corrected datasets. Dwelling units as identifiable from the CARTOSAT-1 satellite data were digitized. Training of NTPC officer on GIS and Data handling and updation. JSPL was not able to approach the Iron ore lease area in Bailadila range. It approched CCOST to provide Mapping support for themes like: Geology & Geological Structures, Landuse/landcover, Geomorphological setup, Slope, Drainage network, Surface waterbody, Infrastructure facilities including details of existing features, Adjoining ML & PL and Bore hole location plan in PL area. The above needs are as per the G4 & G3 exploration requirements. Also a prefeasibility study was carried out using spectral characteristics of ore body and volume of iron in the exposure areas were estimated using GIS. To assess the present situation (actual possession) of the pillars and boundary, the survey has been carried out by dual frequency DGPS to first transfer the established GCP to temporary GCP's within the area by way of extension from nearest GCP, through RTK mode of observation. Subsequent observations on each boundary pillar of the area of interest has been undertaken taking reference from the temporary GCP's so established. Precise geo-coordinate of the pillars in the Boundary has been taken for all the pillars of the AOI using dual frequency DGPS in RTK mode from the temporary GCP. Then boundary vector in the form of shape file are prepared using the coordinates of the pillars in geographic lat. /long as well as UTM projection with WGS 84 spheroid and datum. The surveyed boundary shape file from DGPS survey, geo-referenced cadastral village boundary, geo-referenced AOI boundary are superimposed on the image using GIS software accuracy analysis work is also carried out. The area is calculated and statistics of mine area are generated for different departments. Quartz Mines, Udela, Distt. Mahasamund C.G. Lime Stone Mine, Nandani Kundani, District Durg, C.G. Lime Stone Mine, Chandi, District Bemetara, C.G. Sahgaon Limestone Mine, Tehsil -Dhamda, Dist: Durg, C.G. Lime Stone Mine, Panchmukhi Enterprises, District Balodabazar, C.G. Limestone Mine, Sahegaon, District Durg, C.G. Limestone Mines, Century Cement, District Raipur, C.G. Medesar Limestone Mine, District Durg, C.G. Sahgaon Mine, District Durg, C.G. Iron Ore Mine, Hahaladdi Hill Range, District Kanker, C.G. Karhi-Chandi Prospecting Block of Limestone, Tehsil - Simga, Distt. Balodabazar-Bhatapara ,C.G. Kesla Prospecting Block of Limestone, Tehsil - Tilda, Distt. Raipur, C.G. Mangsa-Pauni-Khauna Prospecting Block of Limestone, Tehsil - Tilda, Distt. Raipur C.G. Mohra Prospecting Block of Limestone, Tehsil - Simga, Palari, Distt. Balodabazar-Bhatapara C.G. Kesla-II Prospecting Block of Limestone, Tehsil - Tilda, Distt. Raipur, C.G. Iron Ore Mine, Aridongari Hill Range, District Kanker, C.G. Kesda-Chelikama-Aklama Iron Ore Block, Tehsil - Bodla, Distt. Kabirdham C.G. DGPS Survey using High Resolution Satellite Image and Land Schedule generation for Kerwa Coal Block, Chhattisgarh Mineral Development Corporation (CMDC), Distt. Korba C.G. DGPS Survey for CA Land in Raigarh and kanker District , C.G. DGPS Survey using High Resolution Satellite Image Land Schedule generation for Gare-Pelma Coal Block, Raigarh, C.G. Talaipalli Coal Mining Project, NTPC Ltd, Tehsil - Gharghoda, Dist. - Raigarh, C.G. MGR line, NTPC Ltd., Dist. - Raigarh, C.G. Demarcation of boundary of forest land coming under submergence of Sondhur dam. FTL Demarcation Utarda Minor Tank, Tehsil - Korba, Distt. Korba C.G. FTL Demarcation Bhalpahari Minor Tank, Tehsil - Korba, Distt. Korba C.G. FTL Demarcation Rampur Minor Tank, Tehsil - Korba, Distt. Korba C.G. FTL Demarcation Karumoha Minor Tank, Tehsil - Korba, Distt. Korba C.G. FTL Demarcation Seemkeda Minor Tank, Tehsil - Korba, Distt. Korba, C.G. Demarcation of boundary of forest land coming under submergence of Devgaon Tank. C.G. Alignment marking and area statistic generation of Futamudha Canal System, WRD, Dhamtari, C.G. Bardiha Lake View Cottage, Gangrel, Block-Dhamtari, Distt. Dhamtari C.G. Kodar Dam Site, Block-Mahasamund, Distt., C.G. Maradev Firing Range and Barracks, Block-Dhamtari, Distt. Dhamtari, C.G. Kondagaon Sub-Jail, Village - Chikhalputi, Block- Kondagaon, Dist.- Kondagaon, C.G. DGPS Survey for CA Land Maradev Firing Range and Barracks, Block-Dhamtari, Distt. Dhamtari, C.G. Gidhmuri-Pituriya Coal Block Tehsil - Katghora, Dist.- Korba C.G. Madanpur South Coal Block, Village Morga-Ketma, Tehsil - Podi, Distt. Korba, C.G. Suliyari-Bhelwar Coal Block, District Singroli, Madhaya Pradesh. Asset Mapping for Masulpani Gram Panchayat, Narharpur Block, Kanker District was carried out to know the assets available in the village for empowering the officials to take decision in planning and monitoring the developmental activities taking place in Gram Panchayat. Asset Mapping for Charra Village, Kurud Block of Dhamtari District was carried out to know the assets available in the village for empowering the officials to take decision in planning and monitoring the developmental activities taking place in village. CCOST provided technical support of Mapping requirement and suitability comments for the water conservation structures proposed under the programme for Jhandatalab, Seoni Kala, Nari & Parkhanda clusters. The department intends to expand the study to 3 critical Blocks. 17 training programmes have been organized by the council for Government officers, Researchers and Students of the state.